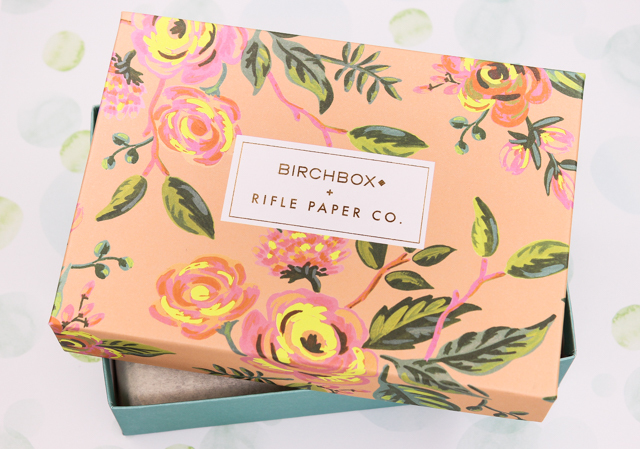 For this month's Birchbox, I decided to go with the curated, Rifle Paper Co. designed box since the products included were all intriguing to me. I think I made a pretty good choice seeing as I am very pleased with the contents of the box, which consist of spring-ready products that are ideal for creating pretty, polished, and put-together looks. TOCCA Crema da Mano Hand Cream in Giulietta: In my opinion, Tocca make some of the nicest hand creams. This green apple and pink tulip lotion being no exception. It's rich, hydrating, it smells amazing, and it quickly absorbs into the skin without leaving behind a greasy residue. It's also paraben free, to boot. 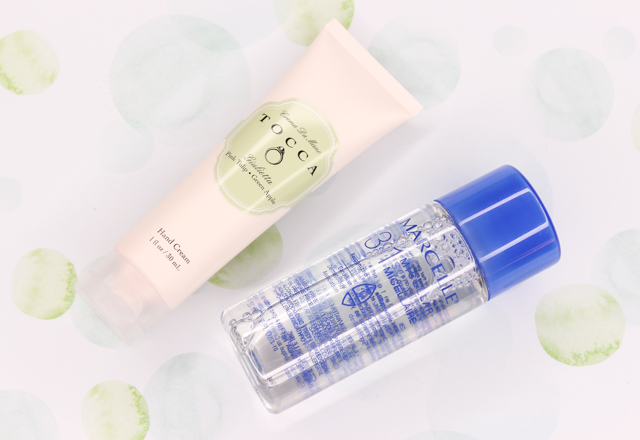 Marcelle 3-in-1 Micellar Solution: I recently discovered the amazing capabilities of micellar cleansing waters, so I was happy to see this one included in my April box. This micellar solution from Marcelle cleanses, removes makeup, and soothes skin. It contains skin-calming ingredients like aloe and cucumber, it's free of parabens, oil, and alcohol, and the formula is gentle enough for sensitive skin. 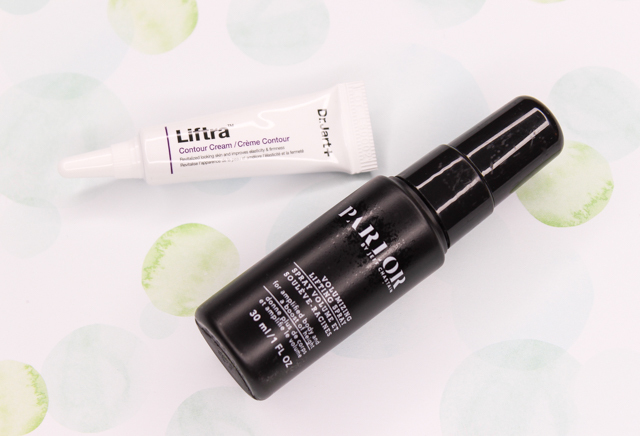 Dr. Jart+ Liftra™ Contour Cream: This unique cream produces collagen, attracts moisture, and visibly firms and adds volume to the skin. PARLOR® by Jeff Chastain Volumizing Lifting Spray: This spray contains marshmallow root to volumize, sweet almond oil to nourish strands, and biotin which helps strengthen hair. In my March Birchbox, I received samples of the volumizing and texturizing shampoo and conditioner from the PARLOR® lineup which I really liked, so I am hopeful that this product will prove impressive as well. 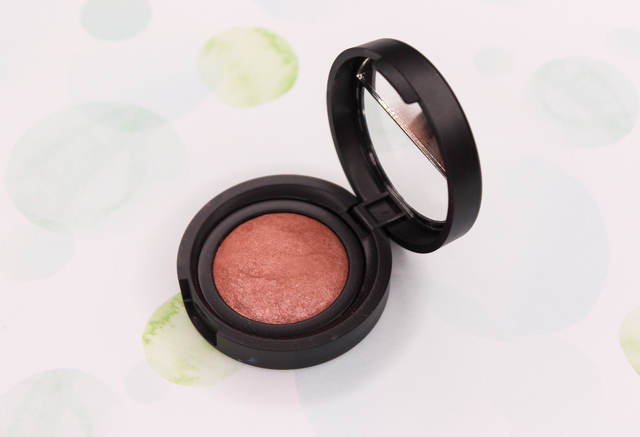 Laura Geller Baked Blush-n-Brighten: Isn't this blush super pretty? It's baked from liquid pigments, and contains a cool-looking swirl of dark and light hues which help impart a natural looking flush on the cheeks. I love how this doubles as a highlighter as well. I received the shade pink grapefruit. Always enjoy the Rifle Paper Co designs :) I just picked up Bioderma's Micellar Water and have been enjoying it, curious how that Marcelle one pans out. The Bioderma one is definitely on my list to try. Glad to hear you are loving it! I tried the Marcelle one over the weekend and it performed really well. Got all my makeup off, and it felt great on my skin.